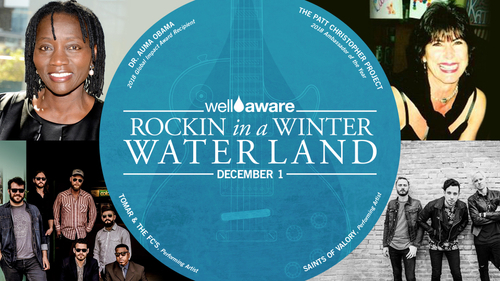 We are incredibly excited about Well Aware’s recently announced 2018 Global Impact Award Recipients who will be honored on December 1st at our Rockin’ In a Winter Waterland holiday concert. After much time, research, and consideration, we are proud to present our Global Impact Award to Dr. Auma Obama and our Ambassador of the Year Award to The Patt Christopher Project. These extraordinary people have gone above and beyond to enact positive global change. Their dedication to humanitarian issues is inspiring, and we are proud to honor and celebrate their contributions. First, a bit of background around the Global Impact Awards. Well Aware established these annual awards in 2017 as a way to further recognize and thank the remarkable friends, partners, philanthropists, and supporters that we have within our community. We seek to honor spectacular individuals or groups not only for their deep commitment to the work of Well Aware but for their overall astounding efforts in addressing global humanitarian issues. Apart from embodying the dedication of true humanitarians, recipients also embody Well Aware’s core values: integrity, community, compassion, and innovation. Our highest honor, the Well Aware Global Impact Award, recognizes an outstanding individual for their commitment to positively changing the world through leadership, advocacy, outreach, and support. The recipient demonstrates a passion and devotion to addressing the world's most important social and humanitarian challenges. 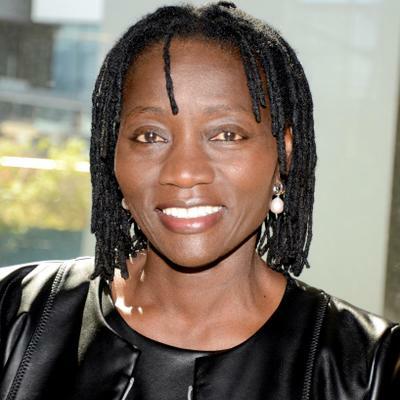 This year, our highest honor goes to Dr. Auma Obama. Dr. Obama was born and raised in Kenya. She moved to Germany to complete her master’s degree and a doctoral degree, where she lived and worked for several years before returning to Kenya. As a humanitarian, community activist, journalist, and author, Dr. Obama has launched many initiatives throughout her career to support the growth and development of young people in East Africa and beyond. While working for CARE International, she established the ‘Sport for Social Change’ initiative, bringing together organizations from East Africa, Egypt, and Bangladesh, in order to familiarize girls with sport as a means for improving their own social situation. Nowadays, Dr. Obama is highly involved in her work for the Sauti Kuu Foundation, an organization she founded to further empower children and adolescents from underprivileged backgrounds in Kenya. “I became aware of Dr. Auma Obama and her impact early in my work in Kenya and for years was so eager to meet and work with her,” shared Well Aware Founder, Sarah Evans. “Dr. Obama has been an inspiration both personally and for Well Aware for quite some time. I’m deeply honored to say that we get to work together to provide clean water, community development, and opportunity for so many”. Well Aware is so thankful for her work and we are proud to honor her with this year’s Global Impact Award. Next is our Ambassador of the Year Award. This honor commends an exceptional supporter who goes above and beyond to represent and advocate for Well Aware in both their local community and the global community. The recipient demonstrates an extreme dedication to reducing the issue of water scarcity and growing Well Aware's clean water work in the world. With this in mind, we undoubtedly chose The Patt Christopher Project- founded by brother and sister team Newton Hopkins and Caitlin Bonner, and their spouses Blake Bonner and Monica Hopkins. 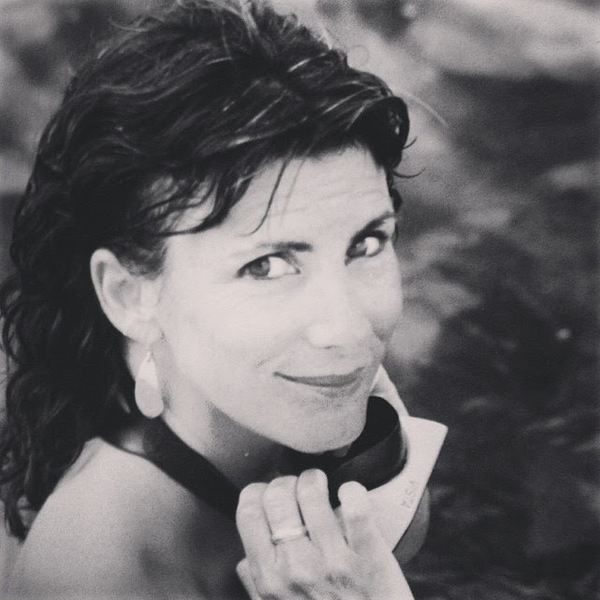 "After losing our Mom to cancer in 2000, Newton and I were passionate about finding a way to honor her and her memory. Immediately after we heard what Sarah was planning to do with Well Aware, we both knew that this was the perfect opportunity and platform for us," shared Caitlin Bonner. "Our mother was incredibly passionate about people." In Patt Christopher’s 48 years, she touched the lives of all she met and had an enormous impact on her family and her community. Through The Patt Christopher Project, her legacy lives on. Over the past 9 years, they have raised nearly $200,000 for clean water projects with Well Aware. They are now are a vital and ingrained part of our organization. We are so appreciative of their dedication and hope that their contributions and fundraising have helped to honor Patt’s memory the same way they have helped our organization to provide for the people who need clean water most. “Through Well Aware’s annual Shower Strike campaign and other efforts, The Patt Christopher Project has raised more for clean water than any other group in our history,” shared Sarah Evans. “It’s just incredible to realize that these amazing people have been able to help us provide clean water to 20,000 people. Well Aware just wouldn’t be the same organization without them and I'm so excited to honor them this year as the Well Aware Ambassadors of the Year." We want to thank all of the amazing people who put their time, effort, and hearts into organizing to give back to communities across the globe. Well Aware would not be an organization of such impact without its donors, contributors, advocates, and humanitarians. So again, a big thank you to all and another congratulations to our award recipients Dr. Auma Obama and The Patt Christopher Project. Join us on December 1st to honor these fantastic people.